Marquisa | Zonyxa. Unique and contemporary jewellery for Work. Love. Play. An unusually exotic creation. 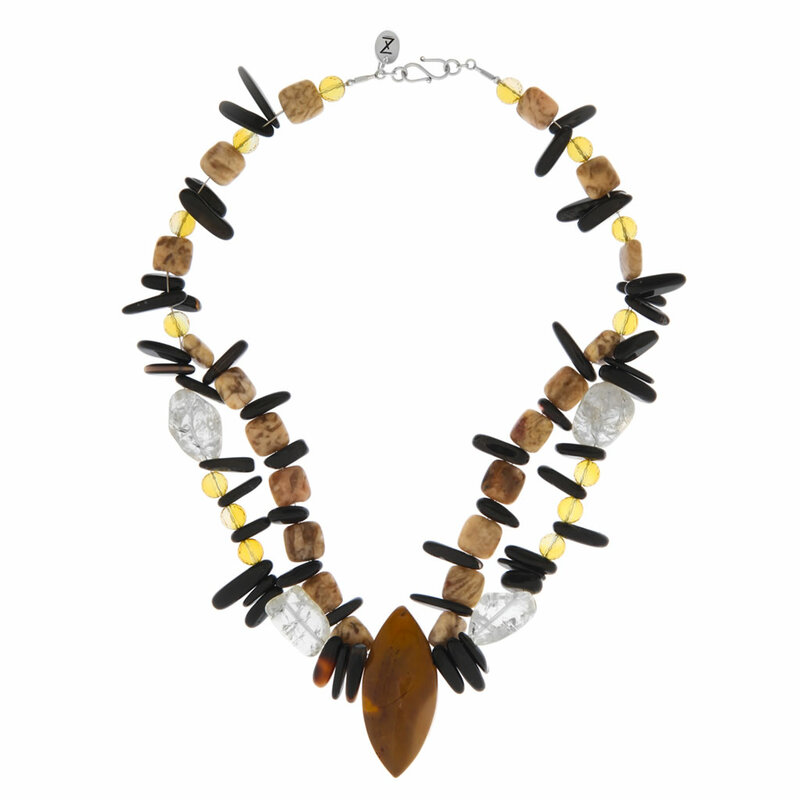 It features tiger agate, effectively balanced with the glassy black agate, light citrine and pure crystal cubes. All accented by a stunning agate pendant of a marquise cut (named after the smile of Marquise de Pompadour). A chunky style that works best with simple top or dress. Materials: Agate, tiger agate, black agate, citrine and crystal.